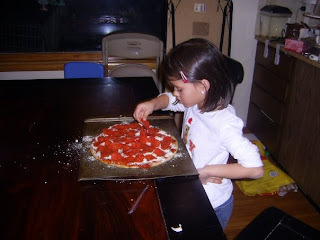 I am excited to share with you a "family" recipe that we love to make in our Mama Jo home! 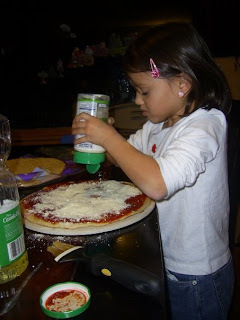 It is nothing fancy, but it is a recipe that a child can make themselves, and my kids LOVE making dinner. 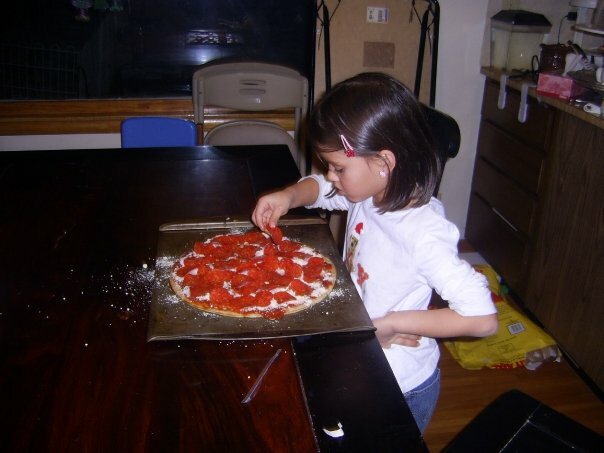 Cut the pizza, and enjoy the creation your little one has made! That looks so yummy! It looks like I have a plan for dinner tomorrow night! Thanks! That looks great! She looks like shes having fun making it! She has a blast on the nights she gets to make dinner. Sometimes the meals are "questionable," but she loves to cook! It would be better with home made dough. I will have to find a good recipe, but I try to make their night all about them making dinner.